There are many platforms available to post your video to, and it can be overwhelming to know which one is the best for your application. The quick answer – all of them. Each of these three platforms, YouTube / Vimeo / Facebook, have benefits over the other platforms, and by posting your video to each of them, you are getting the combined results of all of them working together. Vimeo is a powerful and very professional platform. It is a great avenue to host your videos on, especially if you are sending proofs for others to view, or embedding videos into your website. They have very robust tools to allow easy integration into your current site and allow you the ability to brand / customize the viewing experience for your users. It has detailed analytics built in to allow you to track information about your viewers. The downside to Vimeo is that there are additional fees for the professional levels of the software. YouTube is currently the second most searched search engine that exists, right behind Google. 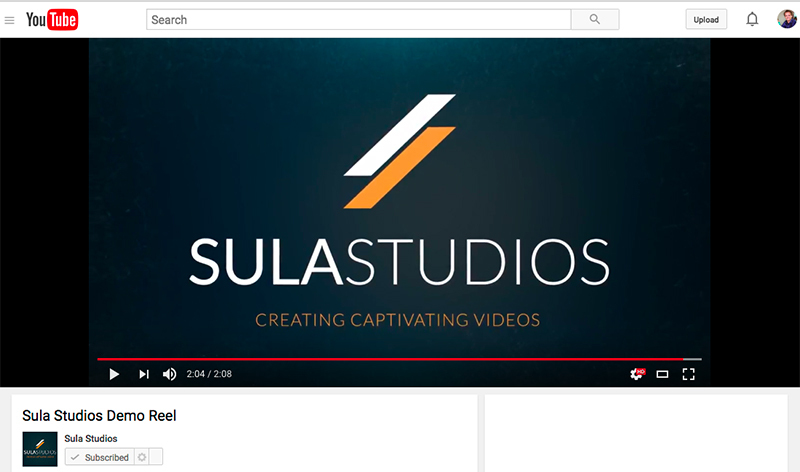 Interestingly, they are also owned by Google, which means there is a seamless integration of your videos appearing in search results on Google. Due to the large traffic that YouTube receives, posting your videos to YouTube opens the door for incredible potential, allowing for millions of users to potentially find your videos organically. YouTube has powerful search algorithms built in, and constantly shows recommended videos next to the current video they are watching. These recommendations are built on previous videos they have viewed and search terms they have entered in the past. Due to these recommends, the average mobile viewer on YouTube spends 40 minutes watching videos, often because their attention is captured from recommended videos. With YouTube, it is easily possible for your videos to get thousands of views from people who have never heard of you before, all based off of their searches. Facebook is currently the largest social platform that exists, with 1.13 billion active users daily. At the same time, Facebook boasts they receive 8 billion video views on average every day. In recent years, Facebook has put tremendous energy and focus towards videos and has seen video take off among users. Posting your video to Facebook increases your social reach, and puts it in front of the eyes of your followers on Facebook. Due to the focus on video at Facebook, Facebook places your videos in front of your followers more than photo or text posts. 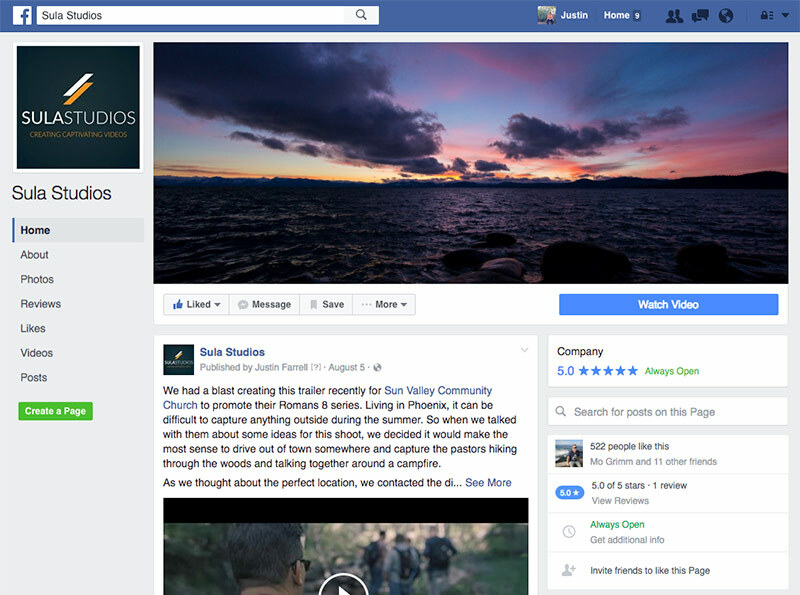 According to Facebook, video posts get an average 135% greater organic reach than posts that contain just a photo. By posting your videos to each of these platforms, you get the professionalism of Vimeo, the organic traffic from YouTube, and the increased social reach on your Facebook page. Together, you are getting the best impact of your video, which in return boosts your brand visibility and sales. If you have any questions regarding these platforms, I would love to help. 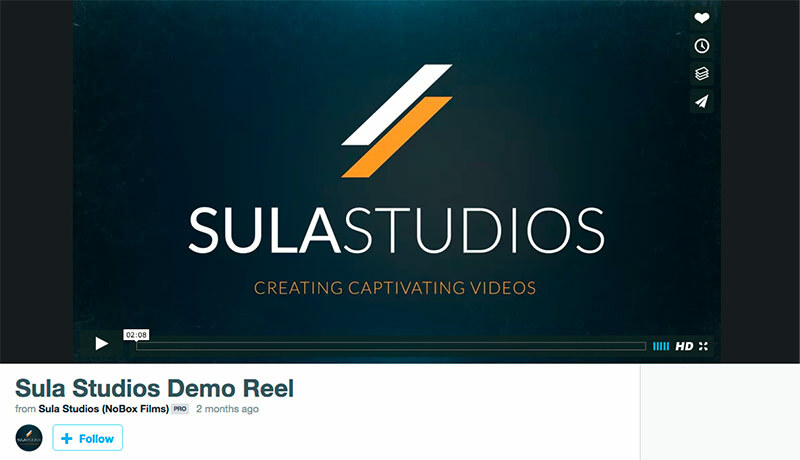 Shoot me an email at justin@sulastudios.com, and I would love to connect and help you through this journey.